How do you really know when it’s time for an unused legacy application to be retired or decommissioned? If you’re unsure, some of your legacy apps could be causing more trouble than you realize for your organization. 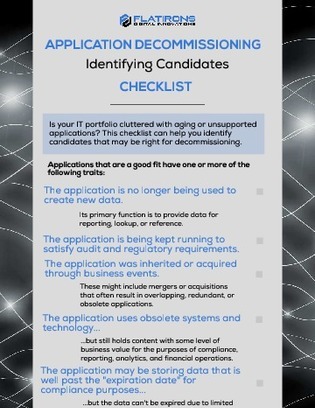 In this checklist, explore some of your legacy applications to find out whether or not they are good candidates to be decommissioned, and avoid some common pitfalls of older legacy apps like fees and unsecured data.